It's one of those things that comes up strangely often... You need to connect two points with a rounded shape enclosing two circles. 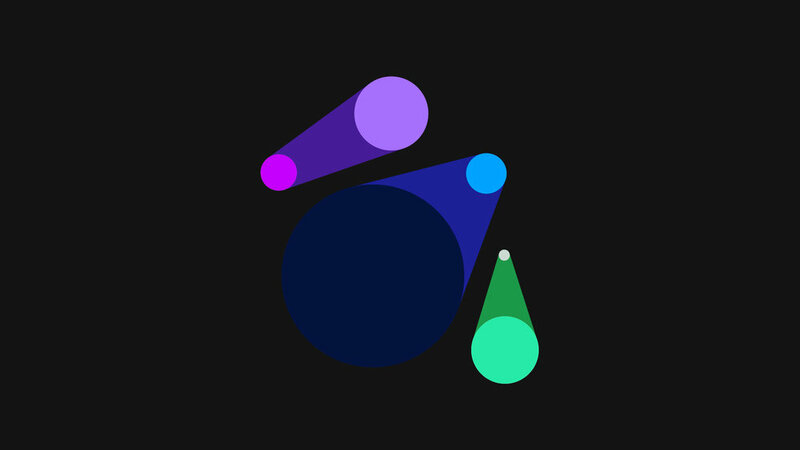 It's a graphically clean shape, but one that can be really hard to animate in 2D. Light Beam is a shape layer preset for After Effects CC 2018 that makes the job simple. And finally, because CC 2018 accepts emoji in expressions and... well why not? With nothing selected, run the preset from your Effects & Presets panel. This also works if you have a shape layer selected, it will just add the shape group and effect to anything that’s already on your layer. Link one or both endpoint controls to objects or nulls in your scene. If you leave one blank, it will follow the anchor point on the Light Beam layer itself. Choose whether you want the sizes to follow the scale and 3D perspective of the endpoints with the “Scale with Layers” checkbox. edSet one of the scale properties to a negative value if you want a “Figure 8” shape. Trim the beam with fully reversible “Trim Paths”-style completion properties. Style the beam with your own fills or strokes. Copies of the endpoint paths can be moved to their own shape groups to style the circles on each end. Feel free to contact me if you have questions about using this preset.